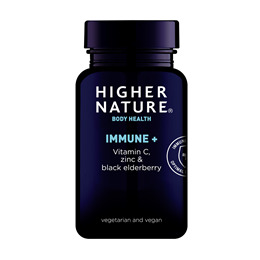 This high potency, immune supporting formula provides 1000mg Vitamin C (in two tablets), with Blackcurrant, Black Elderberry and Bilberry, plus Zinc, to help prevent oxidative damage to the body. Blackcurrants are a potent source of anthocyanidins. Tableted with: Microcrystalline cellulose, hypromellose, Silicon dioxide, vegetable magnesium stearate. Children over 8 years old: Take 1 - 2 tablets a day, with meals. Below are reviews of Immune + - Vitamin C with Zinc - 90 Tablets by bodykind customers. If you have tried this product we'd love to hear what you think so please leave a review. 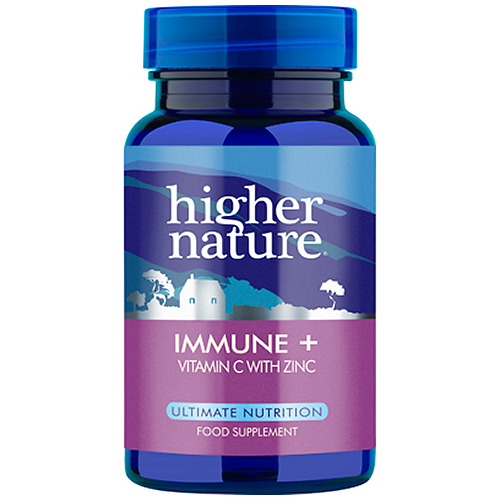 This high potency, immune supporting formula provides Vitamin C, with Blackcurrant, Black Elderberry and Bilberry, plus Zinc, to help prevent oxidative damage to the body.